Good morning, I hope everyone had a nice weekend, it was a beautiful one here, with lots of sunshine. 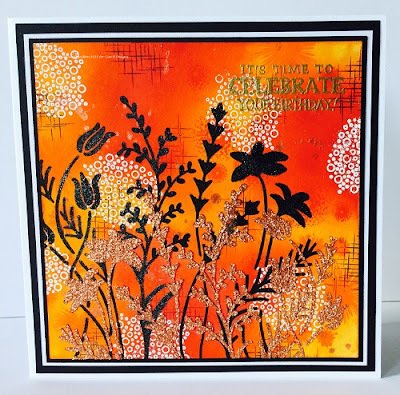 Following Friday's classes in Maidstone, our blog projects this month with be mostly about stamping, stencilling & Distress Inks. 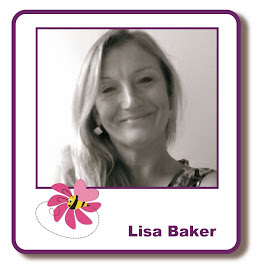 I have two cards to show you today, based on Lisa's class project cards, which she will show you on Wednesday. 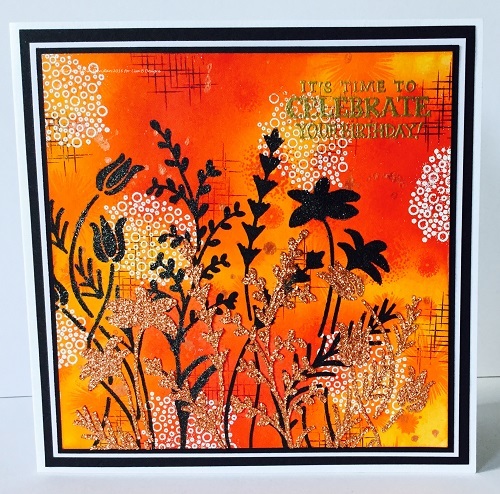 That's Crafty Dinky stencils - Honeycomb Background & Quatrefoil 1. 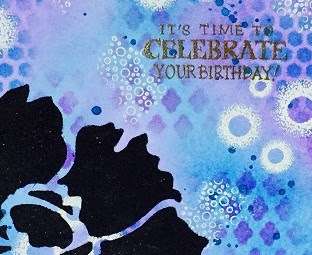 I added splatters of Shimmering Blue Brusho Spray & when that was dry I stamped the Crealies stamp No. 39 with WOW! 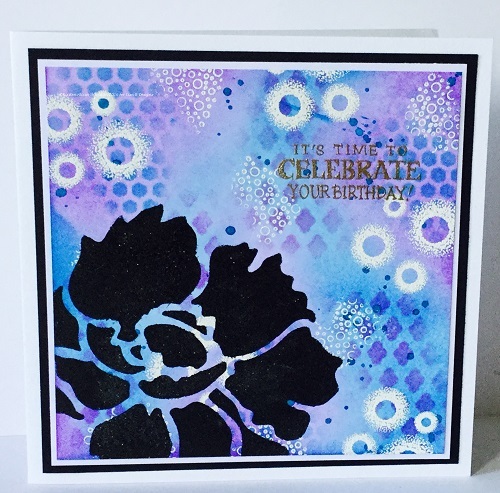 embossing ink & heat set with WOW! Opaque Bright White embossing powder. 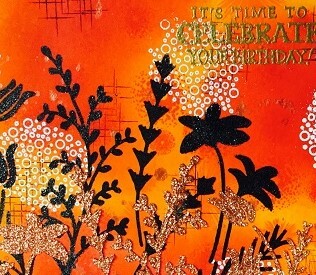 Then I first applied Black Starlights through the Crafter's Workshop stencil, Wildflowers, followed by Light Copper Sparkle Medium. 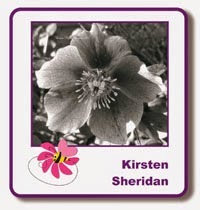 Thank you for visiting the blog today, I'll be back next week. Labels: craft classes, Crealies, Dinky Stencils, Distress Inks, Imagination Crafts Starlights, Large Peony, Lisa B, Maidstone, Sparkle Medium, Stampendous, That's Crafty, The Crafters Workshop, WOW!